← I Need a Better Morning! On Friday the Maccubbin family embarked on our Spring Break vacation. We left early Friday morning for Fort Collins, Colorado (about an hour north of Denver) to celebrate the 40th birthday of one of our old Frisco friends, Janet McBride. Five years ago, the McBrides moved from Frisco to Fort Collins, so it has been several years since we have seen them. 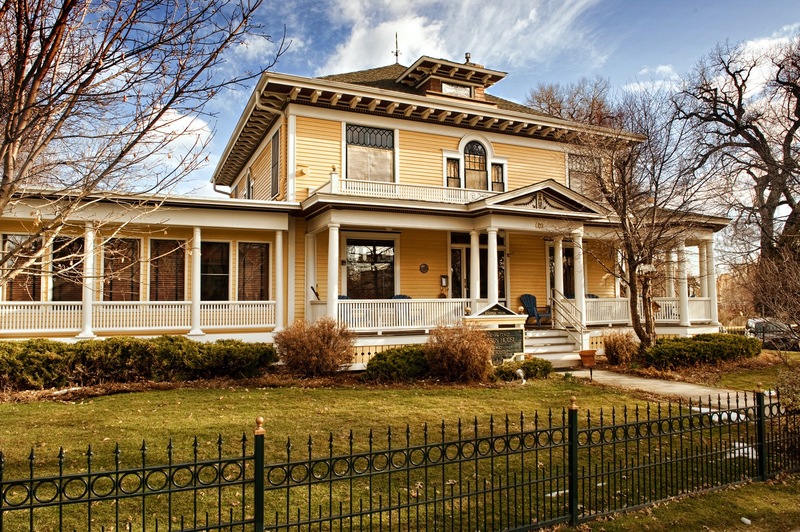 We stayed the Edwards’ House Bed and Breakfast in Historic Downtown Fort Collins. The House was built in 1904. Fort Collins has an extensive number of well preserved residential as well as commercial buildings in their Historic Downtown. We enjoyed the Winter Farmer’s Market as well as finding some good buys in the unique shops and boutiques in downtown. The party was a true surprise. In addition to the Maccubbins traveling in from Florida for the party, Isabel Sem also traveled in from Texas. Sunday morning and early afternoon was spent enjoying breakfast and lunch with friends before we headed out to Rocky Mountain National Park. After leaving Fort Collins, our next several days were spent in Denver. I love old historic buildings, so Craig made us reservations at the Brown Palace Hotel in Denver. This hotel maintains much of its original architecture and has been continuously operating since the late 1890s. We stayed in the “top of the Brown” suites and had afternoon tea in the main lobby with some wonderful scones and Devonshire cream as well as sandwiches and desserts. The Brown Palace hotel location put us close to the 16th street downtown mall. This is a large outdoor pedestrian mall with a light rail train running up and down for about 20 blocks of downtown Denver. We spent the morning exploring shops. After lunch while the girls and I got our nails done, Craig got even more pictures of many of the well preserved historic buildings in Downtown Denver. Needless to say the camera is getting a lot of good use this trip and Craig is getting plenty of good shots. The latter half of our trip will take us to Texas, specifically Frisco. The girls have been so looking forward to this part of the trip as they will get to see their friends that they haven’t seen in almost 8 months. This will be the part of the trip that Craig and I will be running around with our heads cut off trying to keep up with their social schedules. We look forward to visiting with church friends on Sunday and running into some our of our downtown friends during the week as we visit the two properties which we still own in Frisco.